Conventional home loans with 3% down payment are now available for approved home buyers nationwide. 97% Conforming loans are a great tool to help first-time buyers who may not have the resources for a larger down payment loan. The program allows them to receive loans requiring little to no down payment. Keep in mind there are a few government-backed home loans that still offer 100% financing for eligible home buyers. However, they come with stipulations regarding approval. VA loans require the borrower to be military or a Veteran with proper entitlement. With USDA loans, the property must be located in a rural deemed location and there is also income limits. The 97 Conventional loan program provides a good solution to borrowers that do not meet VA or USDA requirements. Fannie Mae offers guidelines and tools that enhance the benefits of 97% conventional mortgage, the flexibility built into the program are what distinguish it from other programs in the market. The program provides a maximum loan to value (LTV), Combined Loan to Value (CLTV), and High or Home Equity Combined Loan to Value (HCLTV) is 97%. Cash gifts from family or eligible sources may be used for down payments and reserves. The program caps the upfront monthly costs of mortgages. The program supports the long term success of buyers. Private Mortgage Insurance (PMI) cancels when the loan reaches 80% LTV. Manufactured homes are not eligible for 97% LTV loans. Only 30-year fixed rate mortgages are allowed. Only available for low to moderate income families. The program requires a minimum of 3% down payment. May require home buyer education prior to loan closings. Borrowers are required to pay Private Mortgage Insurance (PMI). At least one of the borrowers on the loan must be a first time home buyer. The loan must be used for a 1 unit primary residence (including Condos and PUDs). Borrower must score more than 620 on the Loan Level Price Adjustment (LLPA) chart. Other than these features, 97% conventional mortgage financing is quite similar to other conventional mortgage types. 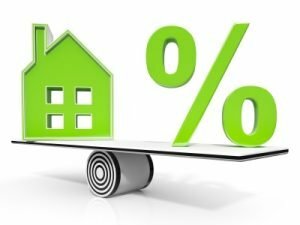 But because the mortgage insurance goes away at 80% LTV, it can become a better value overtime, especially if you are a borrower with high credit scores. The higher your credit scores, the cheaper mortgage costs. You can check your eligibility today by contacting us 7 days a week.